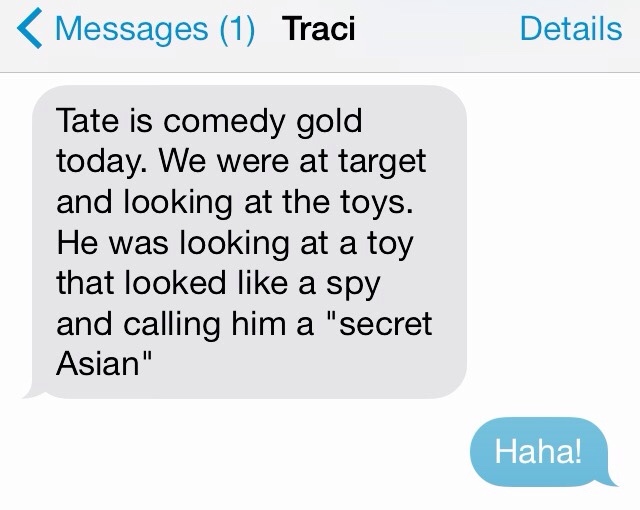 Tate and the "Secret Asians"
Words are hard when you're a four-year-old. Even on a roller coaster, Curtis finds a way to have no fun at all. Tate: Is today Fast Sunday? Me: No. Tate: Boo. I hate Slow Sunday! Sunday School: Learning the names of every MLB team. Most important day of the season.